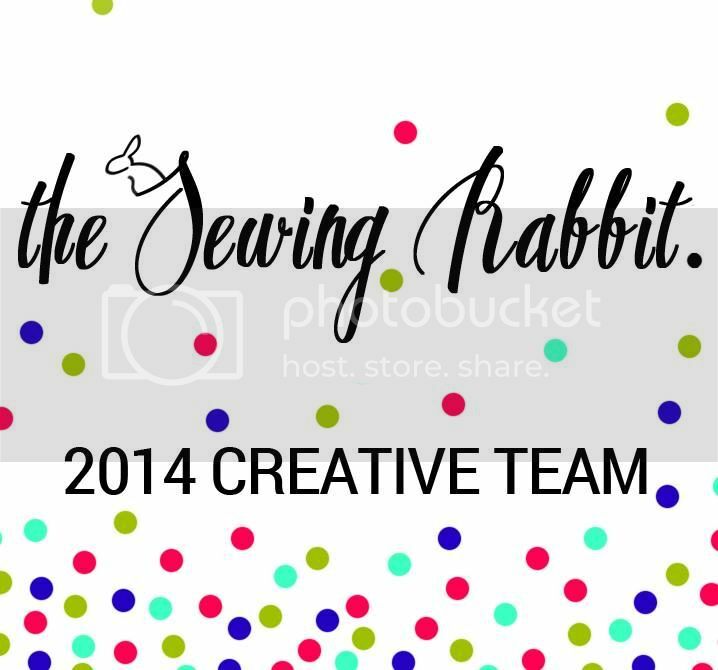 I love sewing with knits and often, I don’t even use a pattern. I will just trace something I own or draw my measurements right on to my fabric, eliminating the pattern tracing or making step. 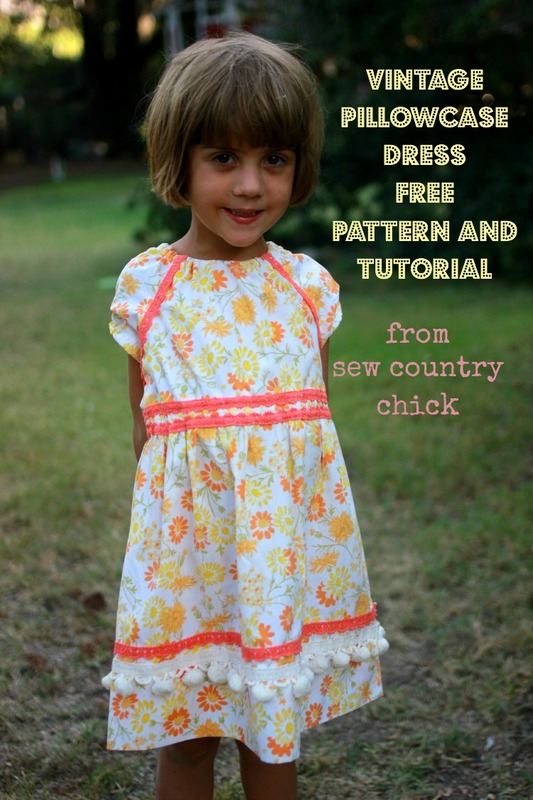 Pattern making is a chore and this dress is easy to make without one! 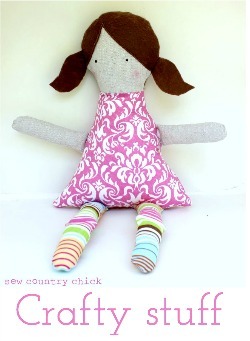 This dress is made from sweatshirt fabric and has a ribbed cotton neckband and waist band. I added some metal trim to give this dress an 80’s vibe. 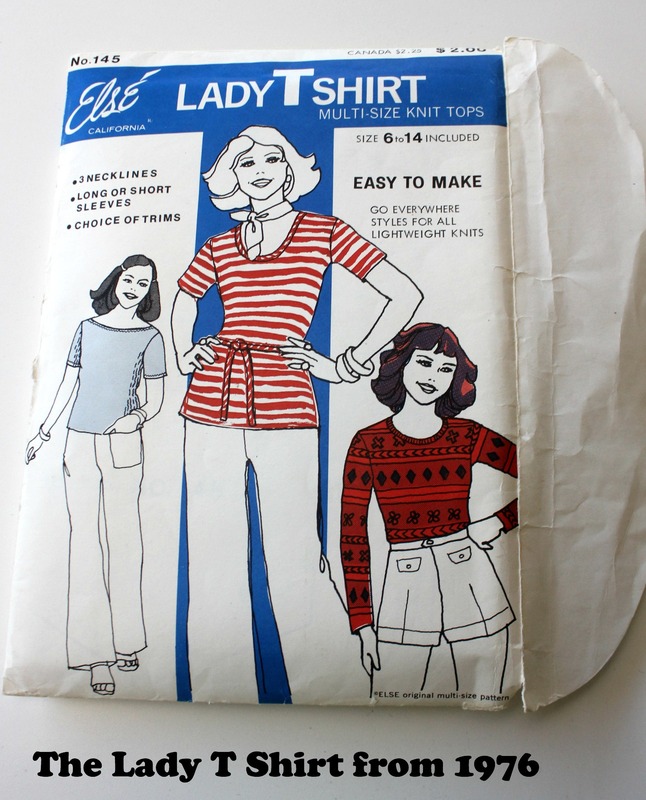 A double needle for hemming the sleeves and skirt. A ruler and something to draw on the WRONG side of your fabric. I hope you don’t mind my sketches. As Patrick on an old Sponge Bob Square Pants episode said…. Fold your sweatshirt fabric in half. You will need to trace a well fitting tank top folded in half,onto the wrong side of the fabric on the fold. 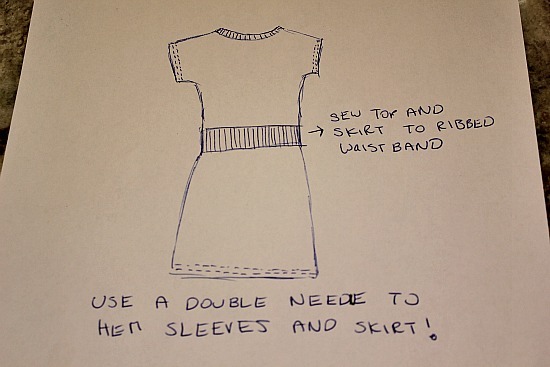 Extend the sleeves like in the drawing above to create a dolman sleeve. 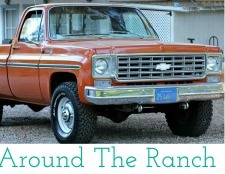 You can also make the top a little wider like the drawing shows. 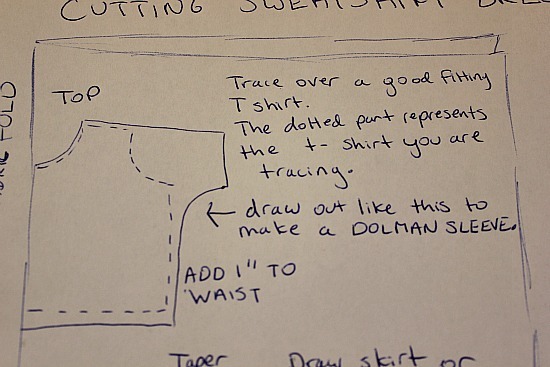 Now draw your skirt onto the folded sweatshirt fabric. 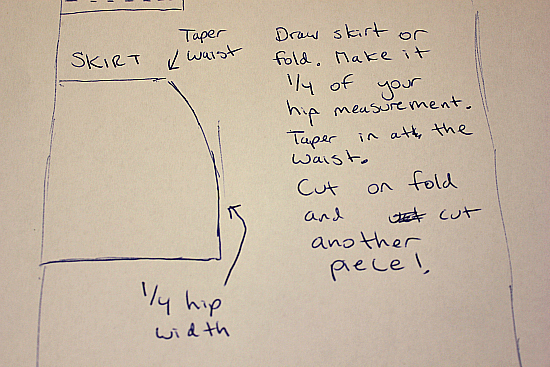 Make the 1/4 skirt cutting line from on the fold and draw out 1/4 of the hip measurement at the hip. Measure up about 7 inches to draw the waistline. Taper the waistline in a little. Cut out the half skirt piece and trace around it to make one more identical for the back. 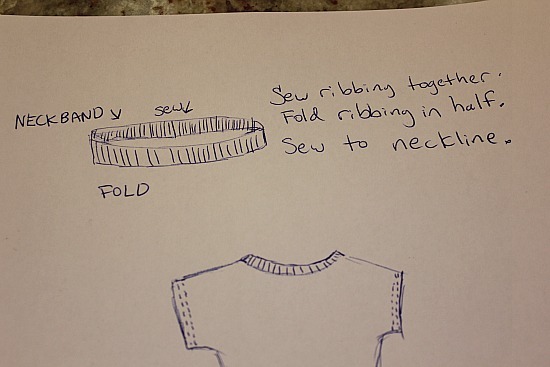 You will need to make a ribbed cotton neckband and waistband. Cut a two inch wide strip of ribbing 2 inches shorter than the measurement around the neckline you cut. Sew the ends of the ribbing together. Then fold it in half and iron it along the fold. 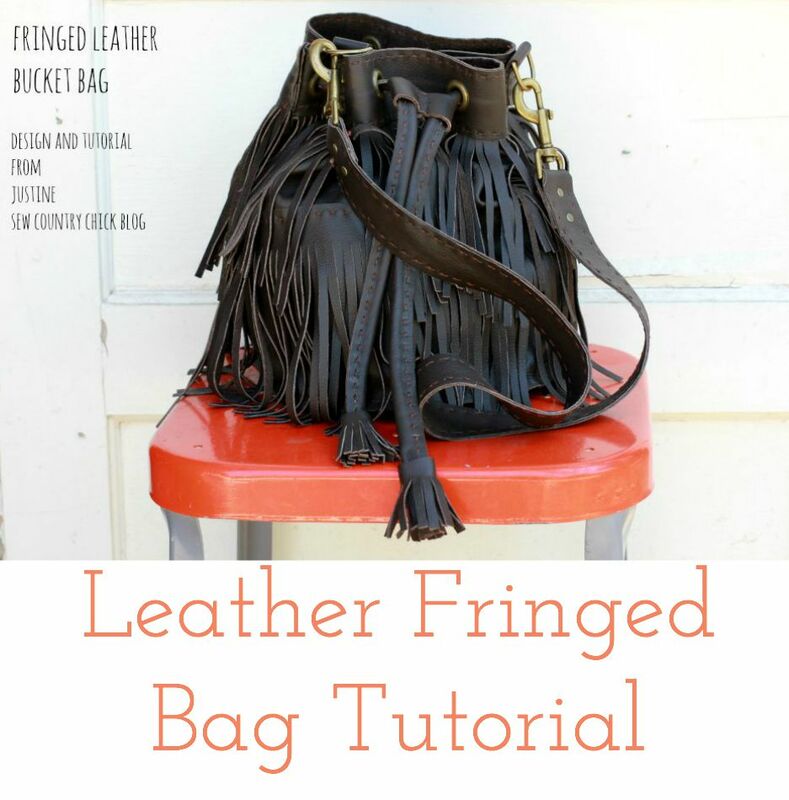 Pin it to the neckline and sew it on. 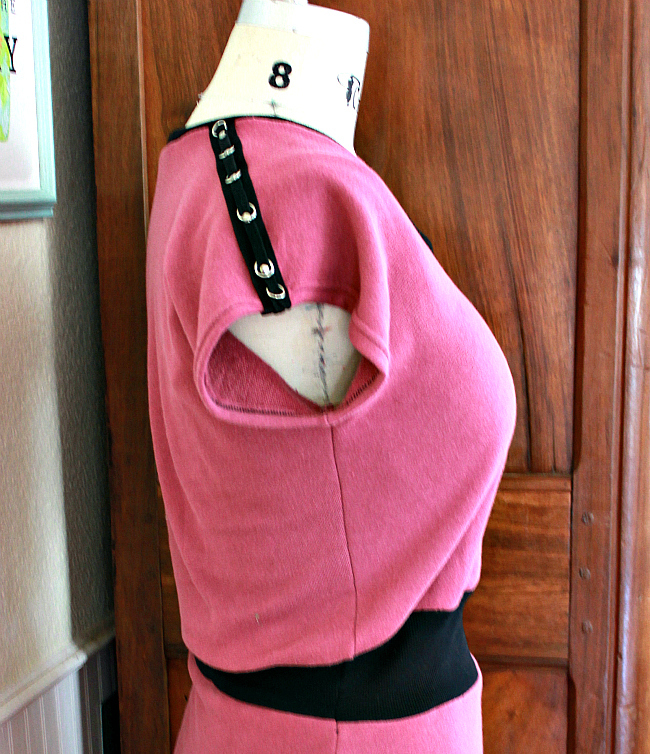 Cut a piece of ribbing 6 inches long and the width of your waist. 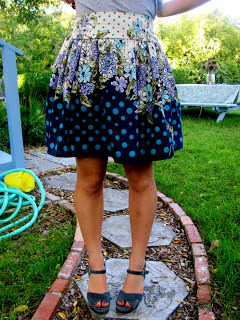 Sew the top to the top edge and then the skirt to the bottom edge. 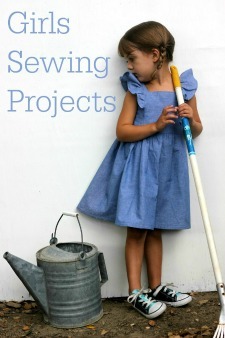 Use your double needle on your machine to hem the sleeves and the skirt. Really cute dress.. Smart idea.. 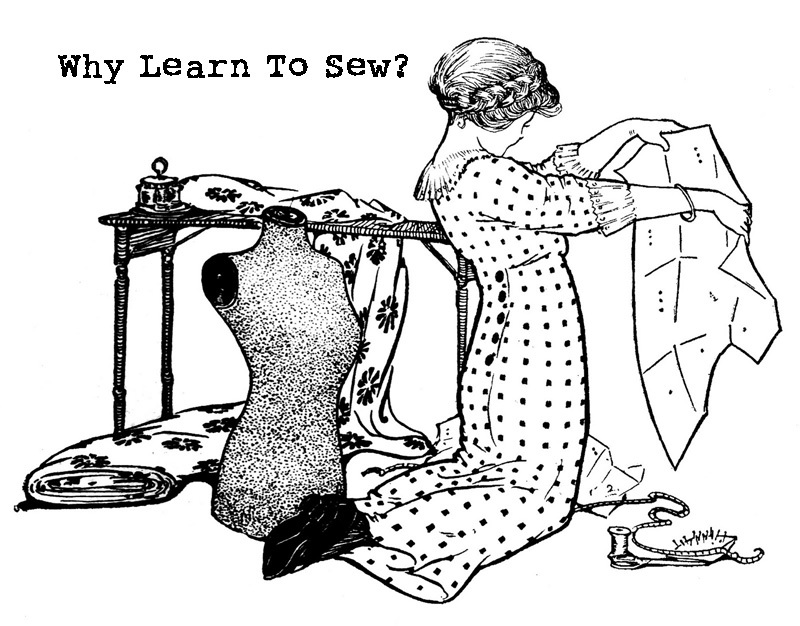 I can barely sew a straight line…this is very cool! That dress looks super comfy! This is really cute, Justine! Love the 80s vibe and you are looking good!!!! I love this idea, really inspiring! 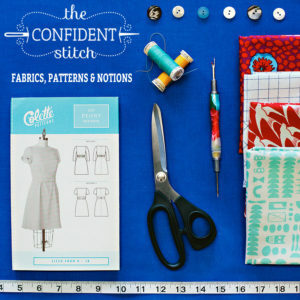 I’m following you on GFC because you sew the same way I often do: no pattern needed! 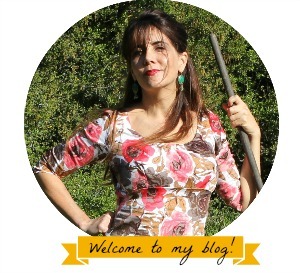 If you want, come to see my brand new sewing/serging blog and, if you like what you see, follow me back! So pretty on you Justine & love the pink & black! I love this! It is totally my style!